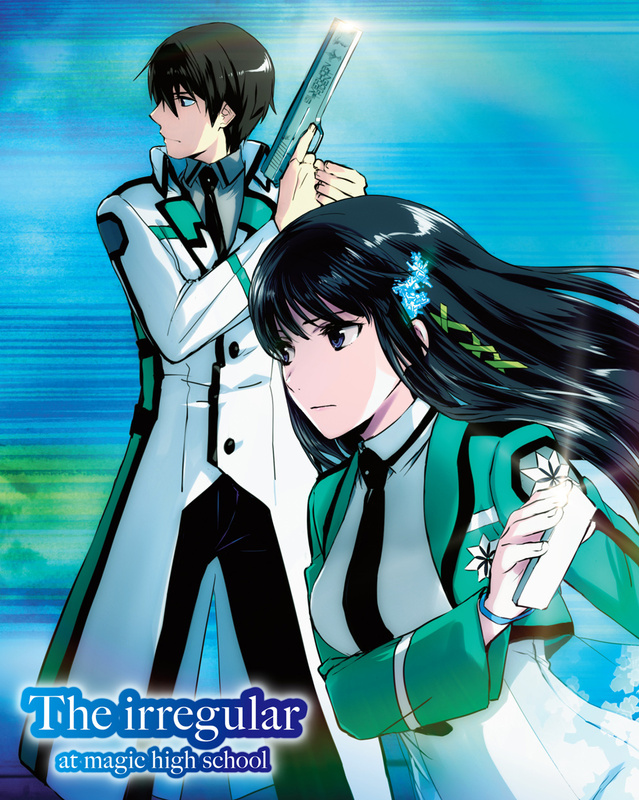 The Irregular at Magic High School the Complete Box Box Set contains episodes 1-26 of the anime directed by Manabu Ono in a rigid box illustrated by Kana Ishida. Magic— A century has passed since this concept has been recognized as a formal technology instead of the product of the occult or mere folklore. Due to licensing and contract restrictions, this product can be sold and shipped to the US, Canada, Central and South America only. This product cannot be shipped to Japan. Don't buy if you're expecting some extras and are picky about the box art. Aniplex got lazy with this set. 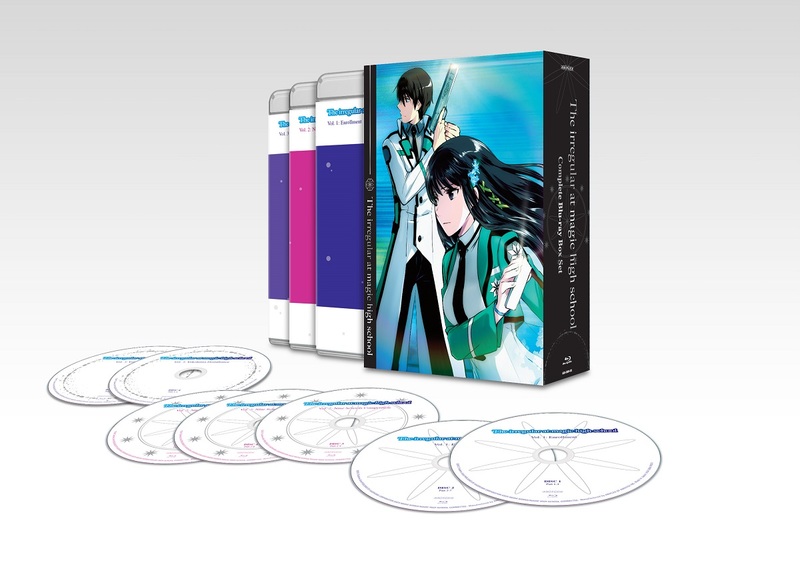 The box and art wrap are well made, but they plastered a bunch of licensing and media info on one of the sides of the box rather than on the bottom or on the sleeve inserts for the bluray cases. The bluray sleeve inserts also feature incredibly boring art. Solid colors with little pale dots everywhere that make it look like a fruity carbonated beverage. Clean and cute, but also super boring and not at all related to the show's visual design. It just doesn't fit. No extras, but that's to be expected based on the photos provided. They want to charge $165 MSRP, but carelessly overlook small details like the overall aesthetics of the set itself. I could care less about a bunch of useless swag, but I at least want my limited edition sets to look pretty if I'm paying over $100 for it. This is a great series for the anime fan that enjoys some thought and attention when watching. The art and animation is great and the story is interesting. The release is an acquired taste though. The box and discs are very simple with not much going on. It is however well made and appealing to the eye, just don’t expect any cool items or accessories this is very simple. If your looking for a fun and exciting show this is worth checking out. bought this when aniplex released it in 3 sets on BD. it was my favorite anime when I watched it online, was my favorite anime when I bought it for $250, and it is still my favorite anime now. I can only hope they make a season 2.